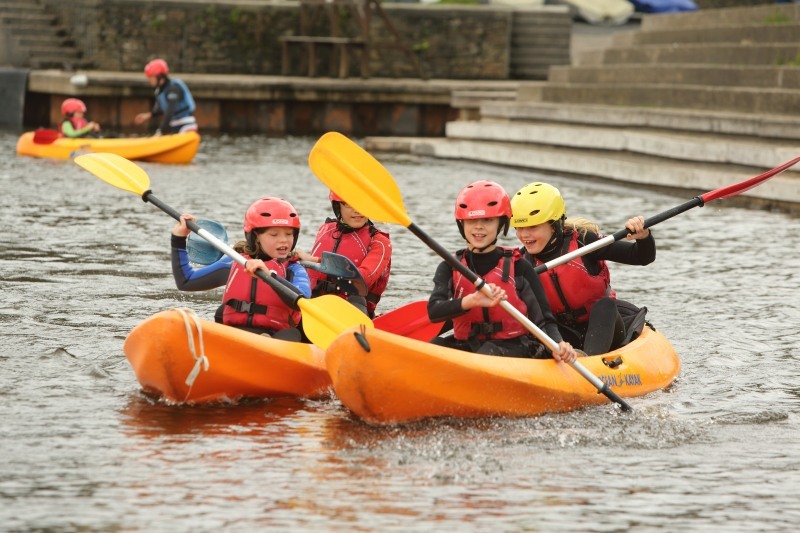 Using our lake and various off-site locations, the Hollingworth Lake Activity Centre offers a range of kayak and canoe courses from basic introductory flat water courses to exciting river trips and moving water training. All of our Paddlesport courses and activities are run in line with the guidelines of British Canoeing, the governing body for Paddlesports in Great Britain. Junior Paddlepower Passport: Saturday 7/Sunday 8 April and every Monday and Tuesday during the Summer Holidays. These sessions run on a Sunday morning at 10am and are ideal for beginners who want a taste of kayaking and canoeing and are the perfect for those considering working towards a qualification. Junior Paddling courses run during the school holidays. For further information follow the link to the British Canoeing national governing body website. Using both kayaks and canoes the BCU 1 Star course covers skills such as launching, paddling forwards and backwards, turning and steering. The BCU 2 Star course gives people the opportunity to develop their existing skills and knowledge and introduces efficient paddling techniques, ruddering, moving sideways and deep water rescues. The award is obtained by taking the assessment in both kayak and canoe. These sessions run on a Saturday afternoon 1pm-3pm and are for paddlers with a qualification who want to continue to gain instruction each week to improve their skills. Contact the Centre on 01706 370499 for further information. River skills sessions are for intermediate paddlers and a great way to experience the thrill of white water paddling on local rivers. Whether you’re looking to start out in Paddlesports or looking for top tips on how to improve, you can book a private lesson for one person or two.